^^Well, there are two cars that I want to see during the 50th celebration. The Ferrari with the Song 4U plate, and Karen's 350 Mercedes with the KAC plate! According to this fan site, Richard sold her Jag in 1995 (thank God to a fan). This was the Jag she was driving when she bawled-out Richard in their shopping mall confrontation. That is probably why he got rid of it - bad memories! Can anyone tell what this really is? 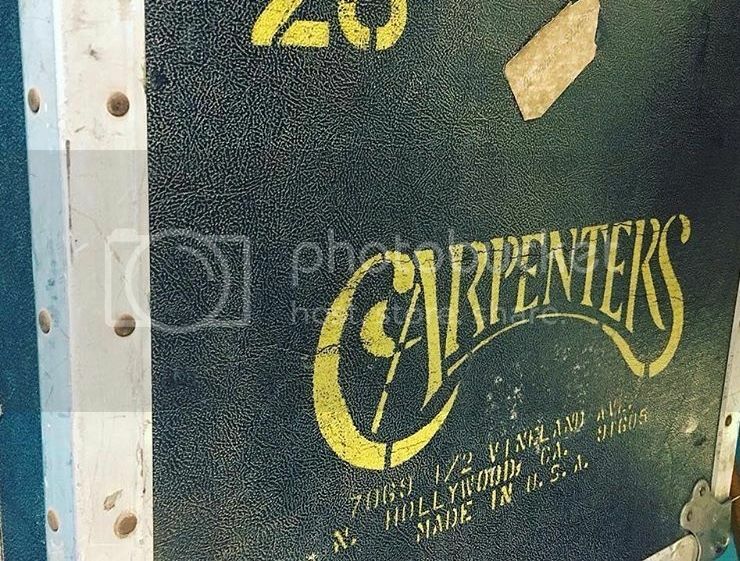 It came up in a search result for Carpenters Recorded Music American Music Groups. I am not aware of any book that goes into such detail album by album and song by song and literally who ever sang the song etc.... I can't even tell who wrote it or what year it was put together. The credits seem to be taken from tons of references. Any ideas? Scroll down because even the table of contents is pages and pages before the story actually starts. Looks like they copied Wikipedia. I’ve heard of this for other series or topics such as Star Trek. Just check out the opening sentence of Chapter 1. In a book why would you confuse the group with the album? Chris Mills and newvillefan like this. Hoping to discover an interview with Richard about his latest project with the Royal Philharmonic Orchestra, but no luck yet. I did however find this, not sure if it has been posted before. Carpe diem and jaredjohnfisher like this. in other words, an article which really should have been front-page-music-news, begins on Page Five. (And, concludes on page 30). Music to strip wallpaper to?! Wow. 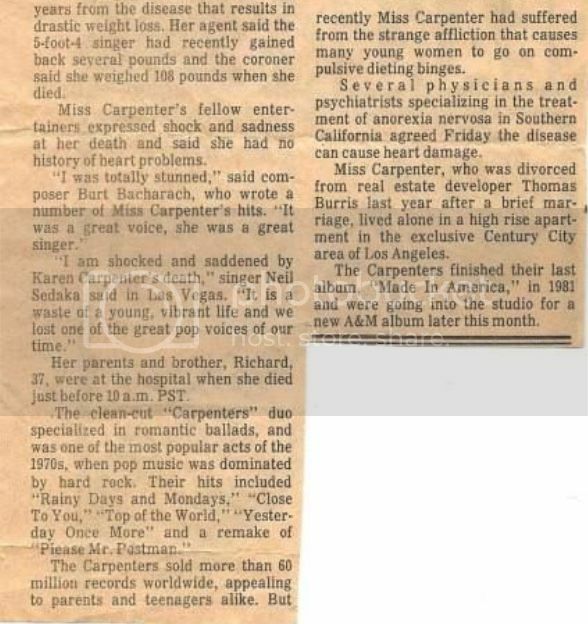 The article was about the funeral, so probably not considered as "front-page-worthy" as the original announcement of her passing would have been. 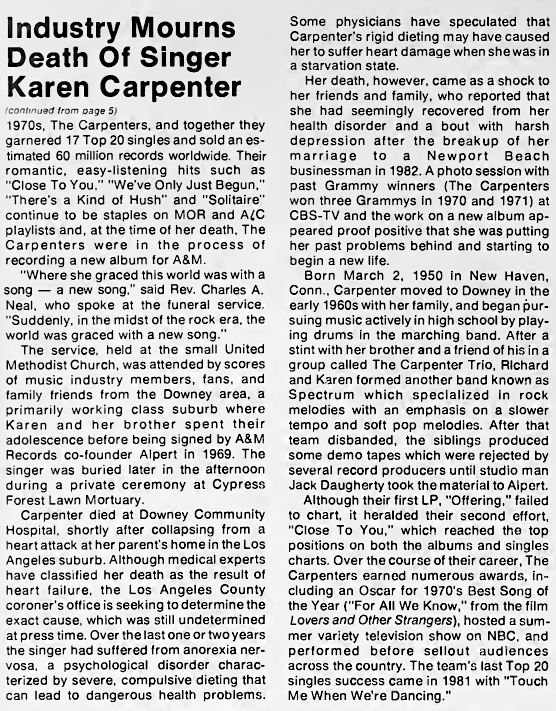 There is No mention of Karen Carpenter previous to that February 19th Article, 1983 CashBox. Anyone see this? As I just logged on to this site, I counted a total of 11 members logged in. I have never seen this many members on at the same time! 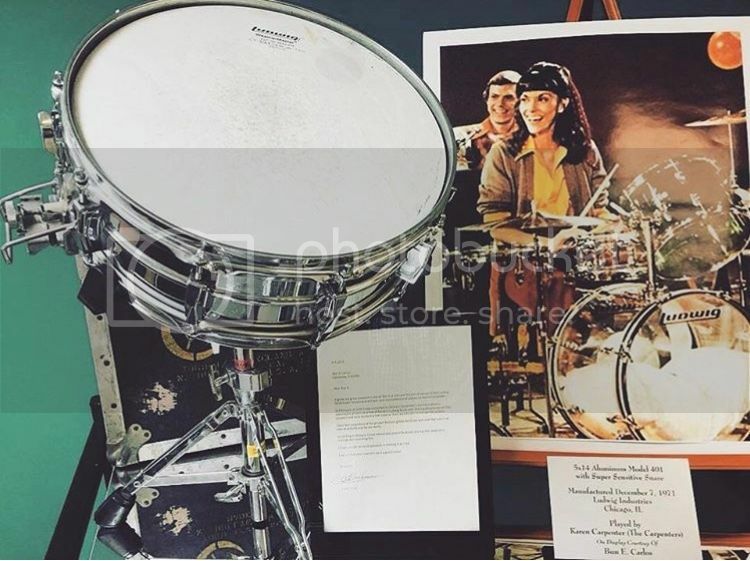 “An original Super Sensitive Snare played by the legendary Karen Carpenter of The Carpenters on display at the Ludwig showroom in Monroe, North Carolina courtesy of Ludwig artist Bun E. Carlos”. I wonder how this ended up falling out of Richard’s hands? Carpe diem and GaryAlan like this. I can’t believe Saturday Night Fever and Thriller aren’t in the top 10. They were two of the biggest selling albums of all time. ^ That article was based on the best selling album of each individual year. You are correct, "Saturday Night Fever" and "Thriller" are two of the biggest of all time. Read something the other day that had the Eagles "Greatest Hits 1971-75" as the #1 album all time even though the group was not as popular in the UK as they were in the US. 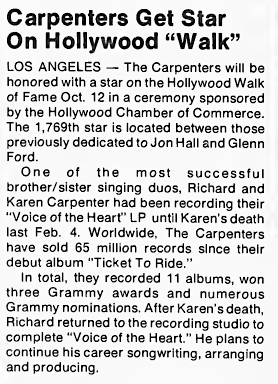 Am pleased that the Carpenters "Singles 1969-73" also reached #1 (17 weeks UK) in the US after having three of their previous albums stall at #2. That list was year-by-year chronologically. ^ That article was based on the best selling album of each individual year. Ah ok thanks for clearing it up, that’s the bit I missed. I’m still surprised they released a Greatest Hits after just four years, but it was obviously a case of good timing. I wonder who came up with the idea in the first place and then the concept of adding segues and an overture? It certainly was an innovative approach to a hits album. I can’t think of any other similar example by another artist. I never knew this existed. Bun E Carlos (Cheap Trick) must be a fan of Karen's drumming. Nice to know, thanks for posting. 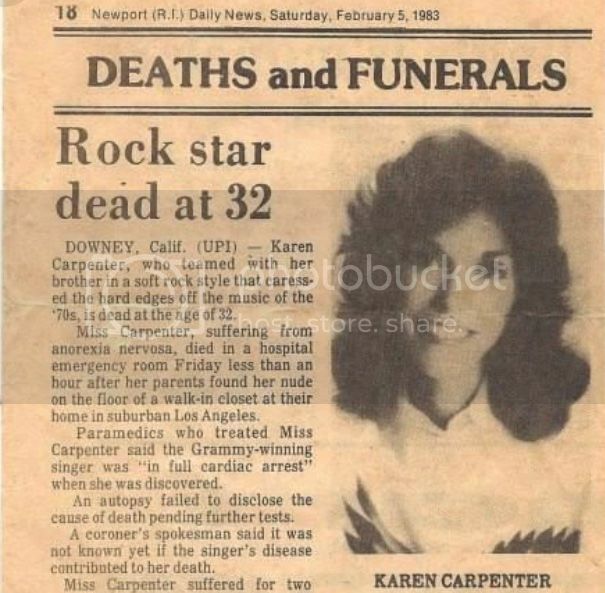 A bit off topic perhaps, but it's amazing the short amount of time in which Karen became a very good drummer, considering she did not pick up a pair of drumsticks until her entry into the 10th grade in the fall of 1964. 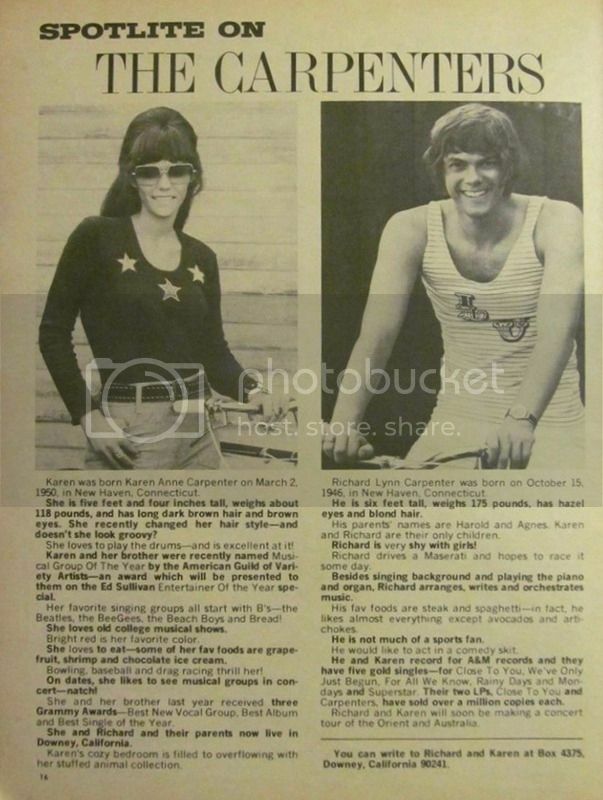 And then by the spring of 1966 her drumming helped win The Battle Of The Bands competition, not to mention her drumming on the Magic Lamp 45 that same year (especially her drumming on I'll Be Yours is outstanding). I would still like to know when exactly her parents bought her that first Ludwig drum kit. I don't recall that info in either of the biographies. Does anyone have that information? 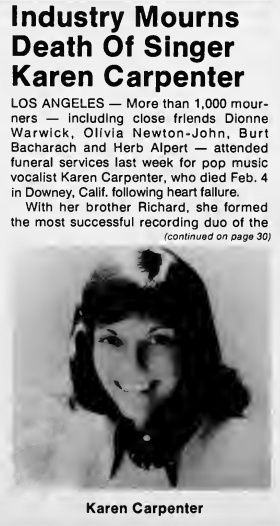 I'm thinking it was most likely her 15th birthday (Mar 2, 1965).
" 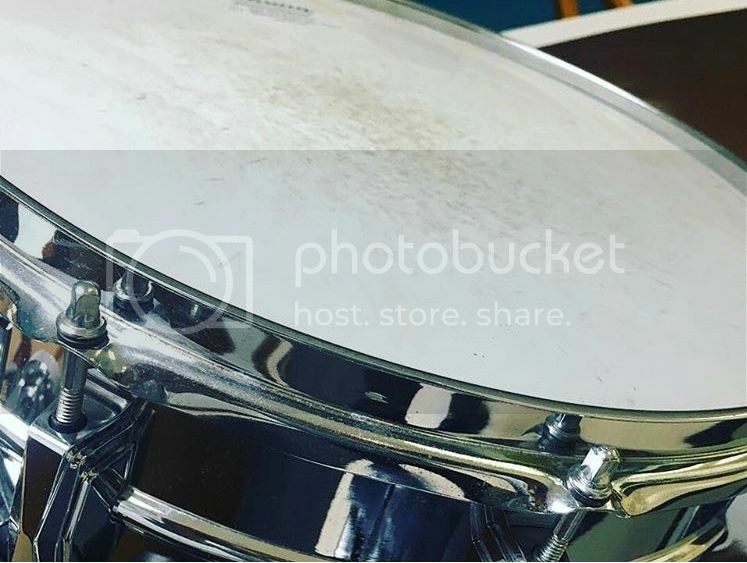 every drum kit Karen owned was a Ludwig. The original silver sparkle is on display at the Carpenter Performing Arts Center. The first set was a Ludwig entry level, painted forest green with a gold strip around the middle. The 2nd silver sparkle set is the one that went on the road. It is packed and stored. The others that came after the second silver sparkle set were donated due to space limitations. 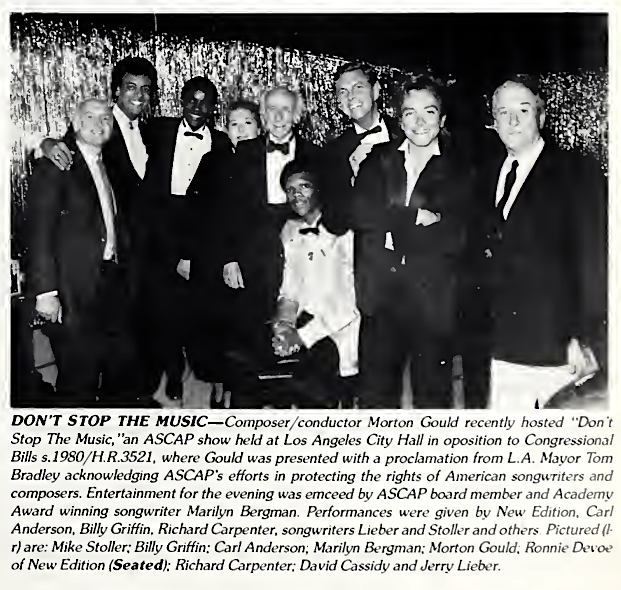 I did keep the jelly bean set, each drum a different color, and quite an eyeful."